We love the simplicity of threading some gorgeous ribbon through these simple Christmas tree shapes. 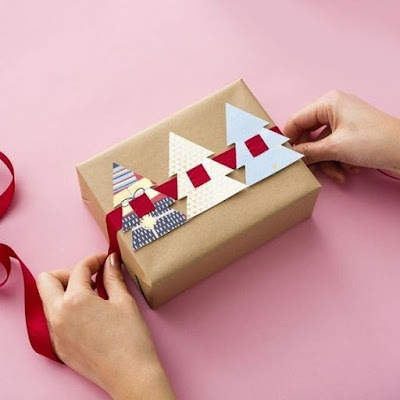 You could cut the trees out of old Christmas cards, and play around with different Christmas ribbon, such as printed ribbon, or even metallic colours. The brown paper is inexpensive and provides a nice neutral base colour.